(AP Photo/Dave Collins) In this Thursday, Oct. 6, 2016 photo, a radio in a police cruiser sits between the front seats in Naugatuck, Conn. Utah has also long used Motorola radios for first responders, but recently the state has entered contract negotiations with Harris Corp., leading to a legal battle. Motorola Solutions, the longtime supplier of Utah’s emergency radios, has protested the bid awarded to competitor Harris Corp. by raising allegations of bid-rigging and procurement irregularities. Those protests were rejected first by the agency in charge of the project — the Utah Communications Authority (UCA) — and earlier this month by the state Procurement Policy Board. Now the Chicago-based company has taken its dispute to the Utah Court of Appeals. Company spokeswoman Kathy VanBuskirk, contacted Thursday, had no comment. Normally, the ongoing bid protest would keep the project on hold — as it has since December. But UCA Executive Director Dave Edmunds has issued a written determination that finalizing the contract without further delay is in the best interest of the state. Since Motorola stopped making the older radios or supplying parts for them years ago, UCA has been forced to keep the system going with parts purchased on eBay. And Edmunds has previously described Utah’s first-responder radio system as “potentially at the verge of collapse." 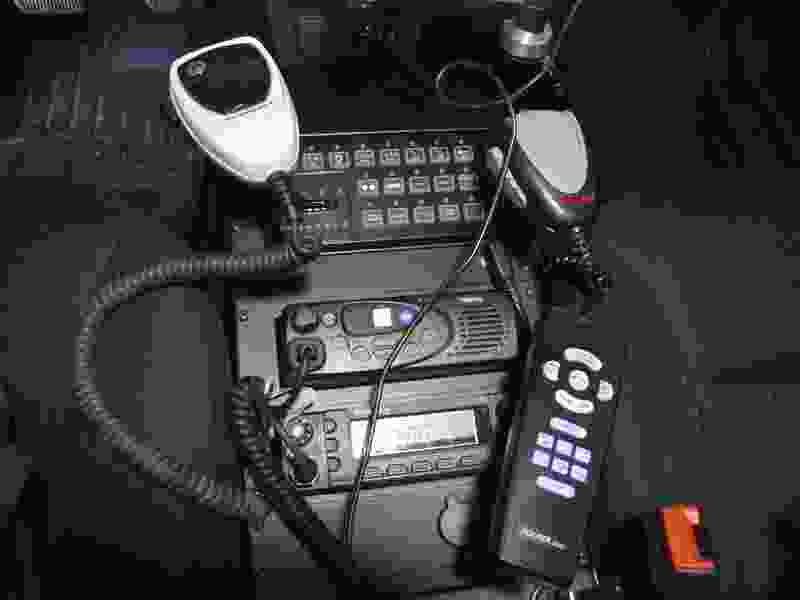 The P25 radio network that Utah intends to purchase offers several benefits, including a doubling of the network capacity and a broader range of compatibility that allows for purchase of radios from different manufacturers at competitive prices. The first order of business is for the agency to seal the deal with Harris, a Florida-based company that has been aggressive in recent years attempting to cut into Motorola’s 80-percent market share. It will be a big switch for UCA, which has relied on Motorola as its supplier for more than two decades. The transition to a new vendor has had its critics, including from some local public safety departments that have raised questions about the bid process. One of the questions raised was whether UCA put too much emphasis on price and too little on technical aspects. Motorola had an edge in its technical bid score but lost out because of what UCA said was a $30 million savings from the Harris offer. Motorola protested that those calculations ignored its offers of several discounts, which would have narrowed that price gap to a few million dollars. The company also complained about several other factors, including that Harris had failed to properly disclose litigation in other markets. Dee echoed those concerns and called for a “last and best” bid to settle lingering questions about equipment compatibility and bottom-line price. Edmunds earlier confirmed to his board that he had been contacted by a number of local agencies “afraid their radios won’t work." But he said there was no empirical basis for those fears and one of the most attractive features of the new system is its compatibility with radios from multiple manufacturers.